Coffee Music Project - Semi-Final! Join LEMZI, IK & Alex De Lacey in their semi-final round for the Coffee Music Project on Tuesday 19th March in Freedom 60-66 Wardour St, Soho, London W1F 0TA. Free Prosecco on entry & 10% off in store with each ticket! TULU Presents are teaming up with Camden’s Clime-it Brothers in order to showcase a night of some of the best upcoming talent from across the UK. Performances covering all aspects of hip hop; from lo-fi to boom-bap this night will have it all! An intimate evening to assimilate and celebrate different forms of art from short films to rap and spoken word. 20% discount off Brown Sugar & Spice Caribbean & BYOB. Tray Avlon’s headline show, FREE ENTRY! The showcase of Keakie, a brand new organisation propagating music and entertainment online and across countries. 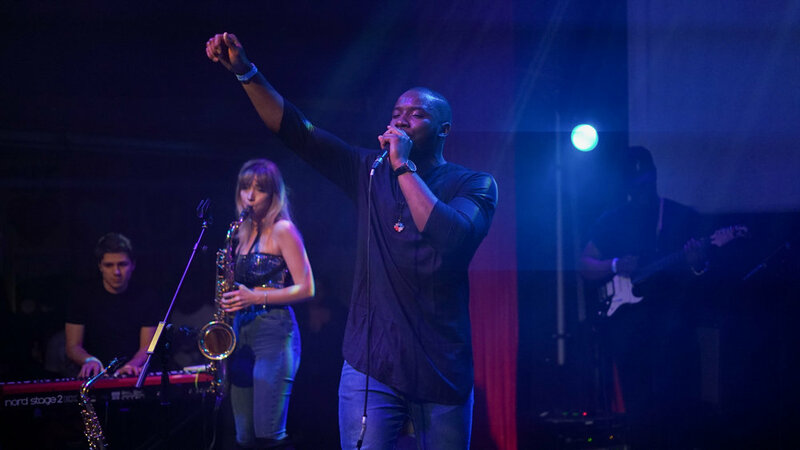 LEMZI’s return to Manchester…Join the EXCLUSIVE Collective up North for a celebration of Black History, music and energy, In Manchester Student’s Union! Amplify is a series of youth-led, provocative and politically-charged events curated and presented by the RISE Collective. Emerging and established young poets, musicians and dancers will take you on a journey through identity, gender, politics, collective action, knowledge and power. These are the artists who bring their fire, have something to say and need to be heard. If you are 12-18 years old and into rap and want to learn how to write, perform, produce or even DJ then this is night for you. Maybe you already write your stuff and want to perform it? Then the stage is yours. Performing at the Launch Event of Hightide festival’s second Walthamstow show, LEMZI will bring the energy as the solo performer of the launch party. Two unsigned artists that continue to distort the boundaries of genres and linear music will be coming together to provide an eclectic mix of music, entertainment and vibes. LAPP is a multifaceted artist that continually transforms his style and sound with jazz, electro, folk and whatever sound that seems appropriate at the time. LEMZI and “The Bandem” have been performing separately for years and collectively for just over a year. Likened to from everything The Roots to Kano, this set will range from spoken word, hip-hop and Jazz music. A hatrick of Sofar Sounds! This will be the third Sofar Sounds of the year following the March & May events previously. As usual, it is in a undisclosed venue and with great talent on the night, also undisclosed until then!